A career criminal tries to persuade a first time offender to join forces with him in his new big scam. British TV comedy shows I have watched. David Jason plays the inept Edgar Briggs, personal assistant to the Commander of the British Secret Intelligence Service. Briggs is an agent who, in spite of his cluelessness, manages to solve case after case. David Jason I think was gr8 as Dez in the first show (pilot episode). then he brought out a second series featuring 3 new episodes which I thought was brilliant. just days before ITV advertised the new season I was talking about the show to my family, and we all said we wanted him to star in a new series again. 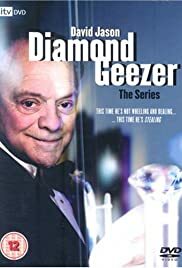 I want him to come back in a brand new series of diamond geezer and bring back the father and son bond storyline and partnership and incorporate it into the new series, however maybe he is getting a bit old now to do the running around (as he did in the previous episodes). Maybe he will surprise us, and bring out a new series. We don't know?